The satisfaction of watching #sugar being #caramelised into a delicate crispy crust. Chef Chung Deming of @thequarterssg torching his signature #DurianCanBoleh (#durian creme brûlée) for guests of The Quarters Experience, a communal dining 10-course menu. 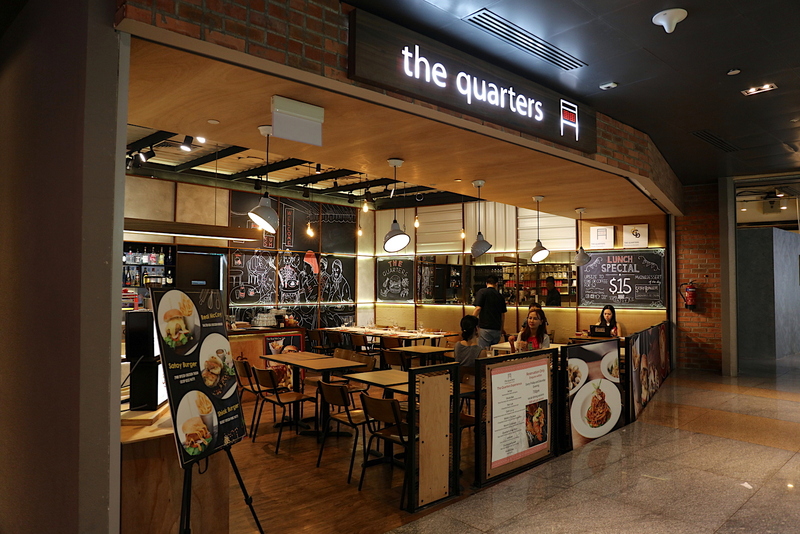 Deming launched a new chef's menu called The Quarters Experience (S$68 per pax, every Friday and Saturday). It's a carefully thought out collection of local favourites given a ModSin boost. The 10 dishes sounded so good, I really had to join my friend Belinda for a taste. 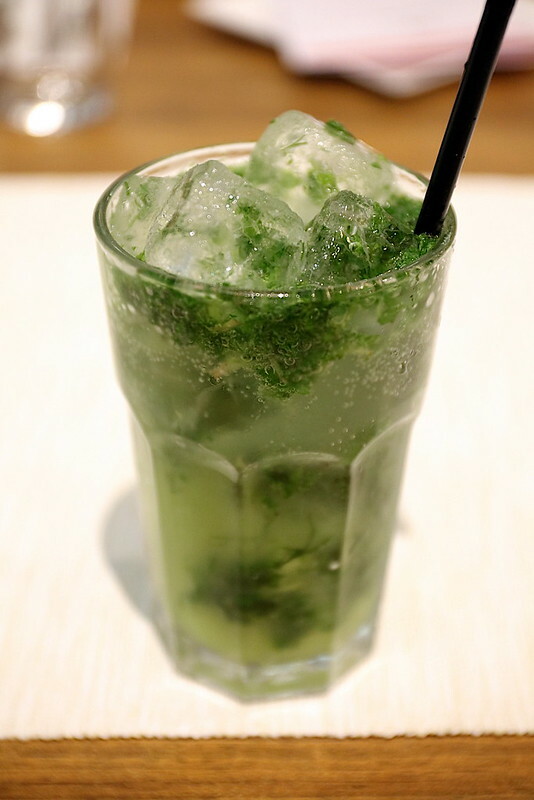 Kick off first with the Superade (S$18) - a super-refreshing cocktail of gin, lemon, dill and soda. Don't you just love the quirky names at The Quarters? 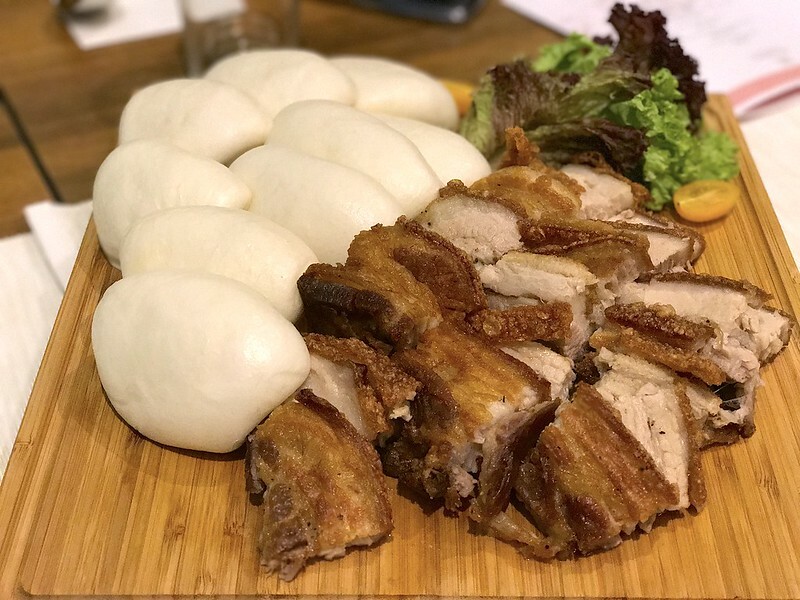 This roast pork belly is marinated with spicy rempah and features that all important crispy crackling. It's a huge and generous portion but I assure you nothing will be left behind! The grill features prominently in the menu. 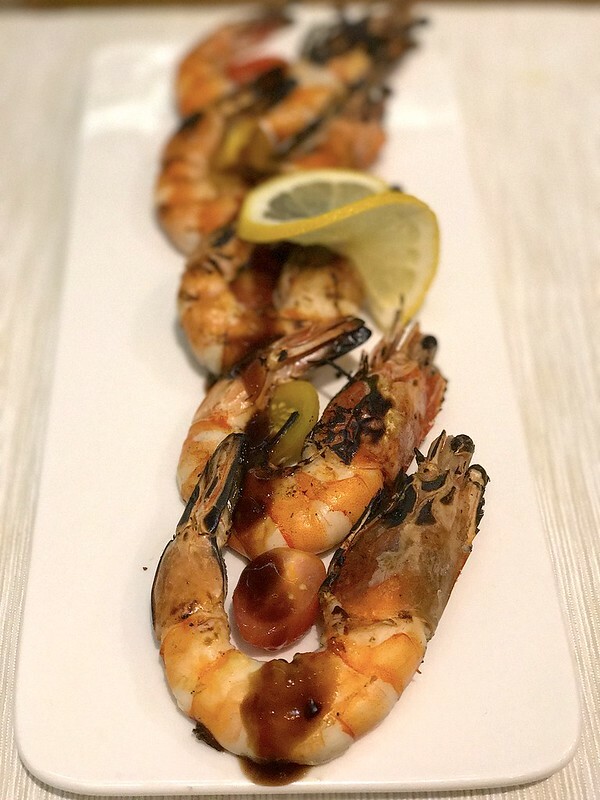 Har lok is Cantonese-style char-grilled prawns, beautifully smoky and anointed with an Asian sauce. I think Har Lok means prawns and happiness in Cantonese. 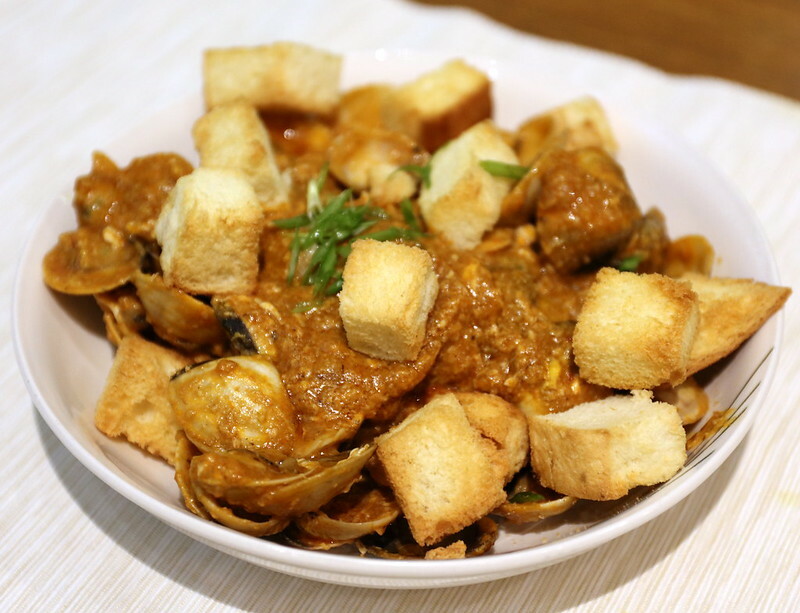 Flambed Venus clams with Singapore style chili sauce and croutons. Forget chili crab. These chili clams are way easier to eat! The crunchy croutons are in rather large cubes, so they may come across as a bit dry as they don't pick up as much sauce as smaller croutons. 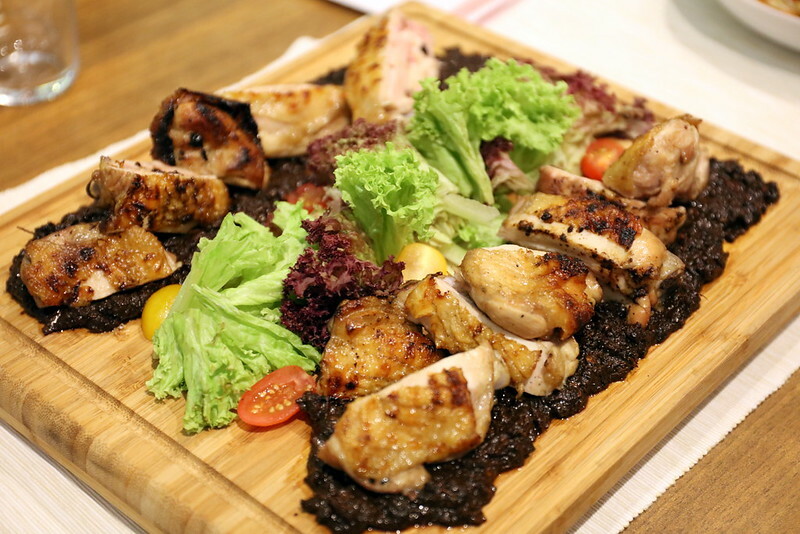 Char-grilled chicken with a rich Buah Keluak sauce. 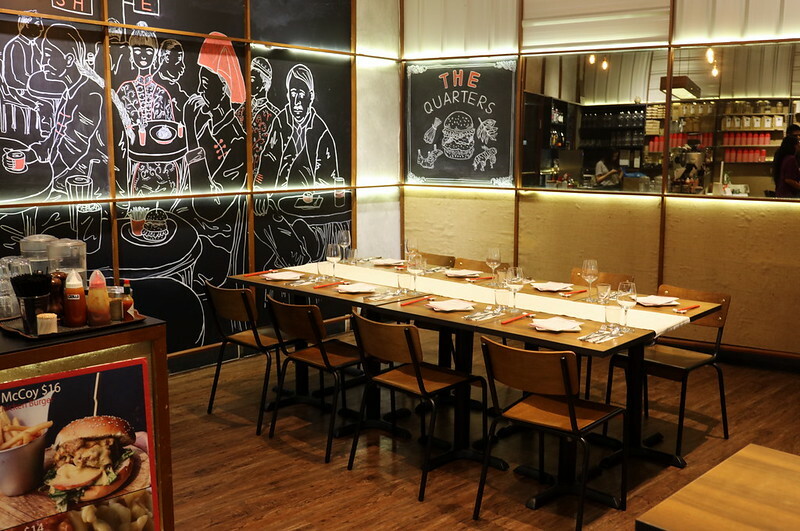 If you like buah keluak, this Peranakan touch will resonate with you. The grilling is on point with the chicken, but meatwise, I still prefer the Shiok Bak. 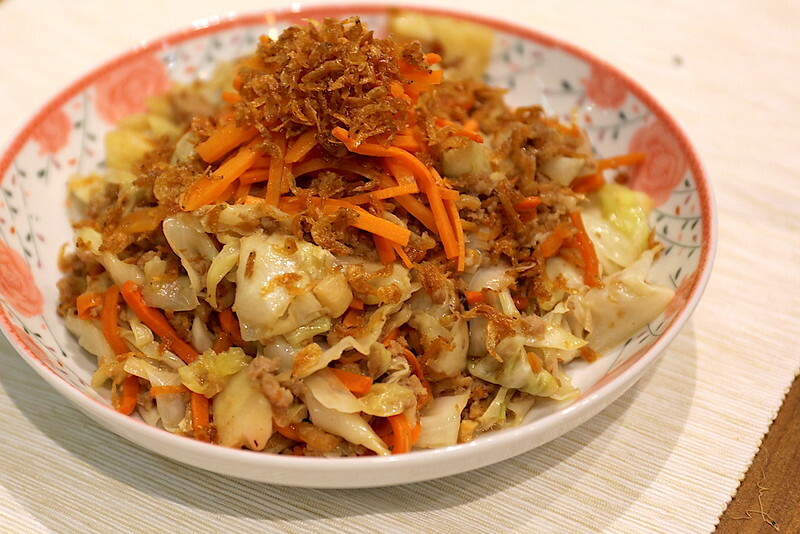 Stewed cabbage, carrots and minced pork completely infused with the heady umami of bountiful dried shrimp. 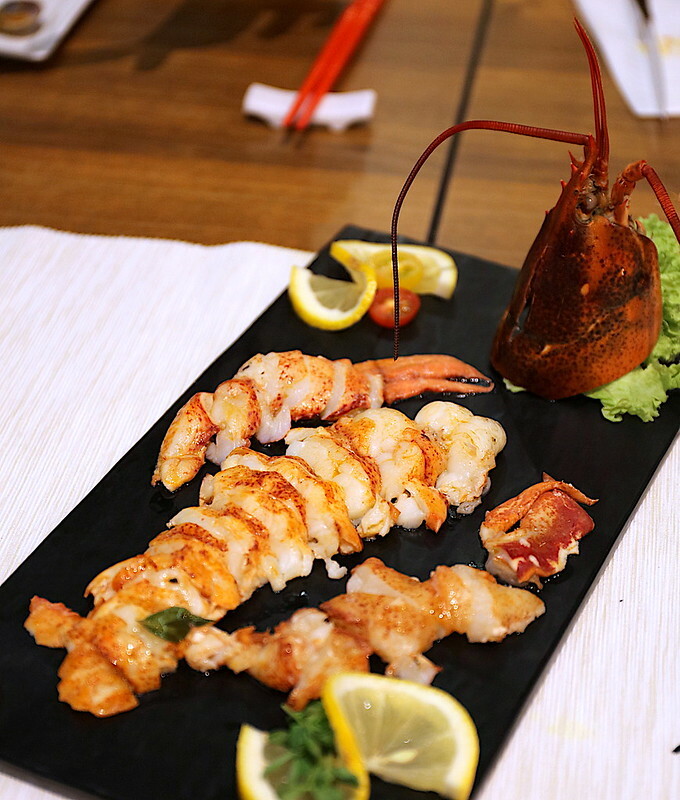 The seafood taste may be too overwhelming for some, but pair this up with some of the fried rice below, and it is a match made in heaven. I usually try to stay low-carb but I think I ate like four bowls of this together with the cabbage above. 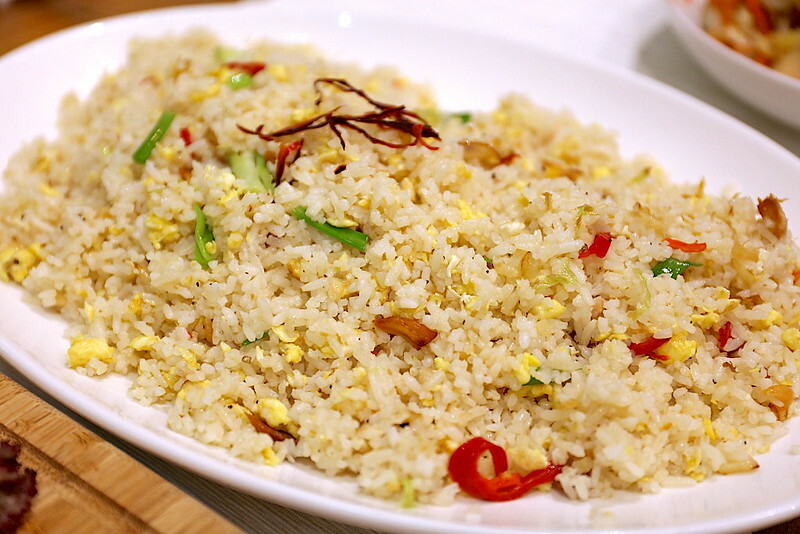 This egg-coated fried rice with two types of salted fish is otherwise slightly plain on its own, but that works great as a complement for other dishes. This charcoal-kissed, butter-poached lobster is just beautiful. Butter + a grill = magic. And lobster in a $68 menu? Good deal! Well we get not one but two desserts! 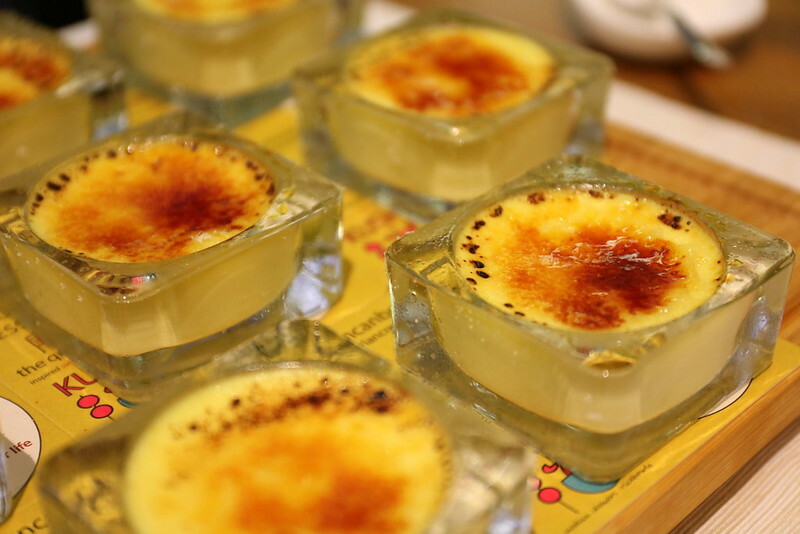 This is the Mao Shan Wang durian creme brulee, torched perfectly. I was impressed with the texture - so light it feels like it's whipped. The durian taste is just right too; it's not overpowering but just decadent enough. 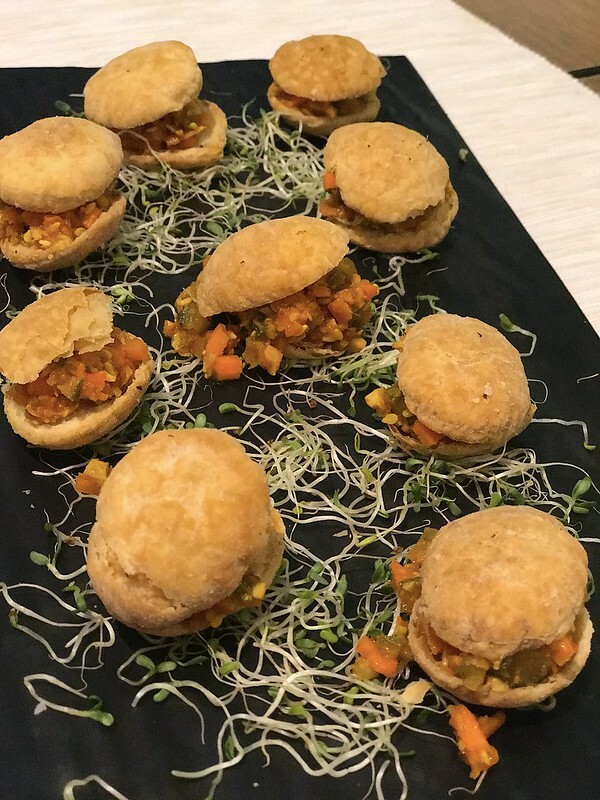 This is a kaya bomb. 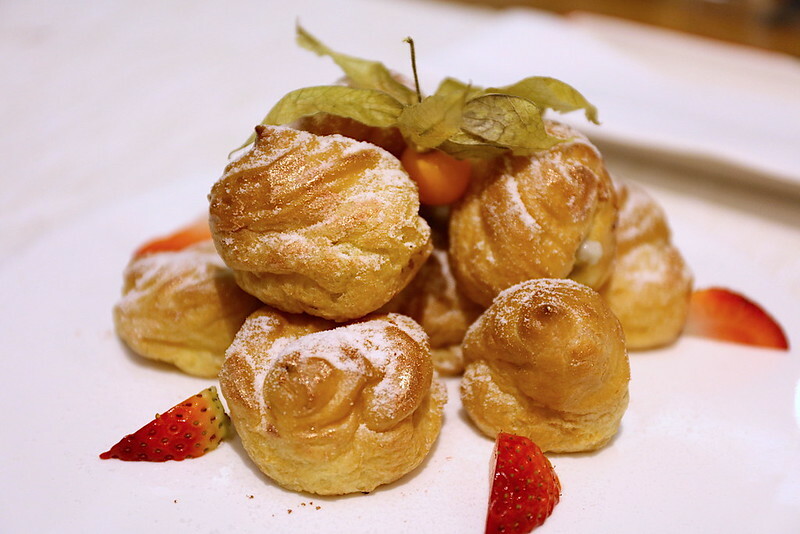 Instead of cream, you get luscious chilled kaya piped inside these light pastry puffs. No matter how full you are, this is still a pleasant way to round off dinner. Many thanks to The Quarters for the hospitality. Photos taken with the Canon 5DsR kindly loaned by Canon Singapore.